Two weeks ago I was sat with my family, who were visiting for Easter, watching TV. As usual, Boo’s sleep had been atrocious in the days before and I was struggling to keep awake. So I did my favourite alternative to matchsticks and caffeine: I went on social media on my phone to see if screen time would do that thing sleep specialists tell us it does and keep me awake. It worked. I saw some devastatingly sad news: a notification from the husband of Stacie Lewis – Mama Lewis to many of us – to say that she had died after a long few years of living with leukaemia. No words, of course, are adequate to convey the unimaginable sadness and downright unfairness of this terrible news. My first thoughts were for Stacie’s husband, Gareth, and their beautiful children, May and Ieaun. I then remembered fondly all the exchanges that Stacie and I had on social media and those all-too-few meetings in person. But what I couldn’t shake afterwards was an awful sense of all that Stacie would no longer be able to do with her family and friends, in her writing career – she was such a good writer – and in her activism. Stacie changed lives through her words and actions regarding disability. I couldn’t believe that she was gone; her death is a loss in so very many ways. I met Stacie for the first time a few years ago in Westminster at the Parliamentary Inquiry into Disabled Childcare. By that point I had been corresponding with her for some months on Twitter, direct messaging and text. But I had known of Stacie for many months even before that. 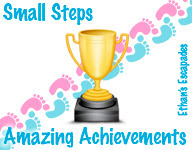 Immediately after Boo’s premature birth in 2012, I frantically started scouring the internet devouring every web resource and blog I could in order to get informed, to track possibilities for, and come to terms with, the new normal of a life we hadn’t expected even the day before Boo’s arrival. In the first few hours of his life I started googling “28 weeks” and “life expectancy”. Within days my search terms changed to “meningitis” and “sepsis”. And then came “severe brain damage”. That’s when I found Mama Lewis. Like all the best writing, though, I felt that Stacie’s blog had found me. In her fiercely intelligent, infinitely compassionate and brutally honest posts about May and about being part of a family with a disabled child I saw a reality that I knew, deep down, ours would soon resemble. It was a prospect that frightened me, if I am honest. But Mama Lewis made me realise we could live it. When I eventually met Stacie after so many months of exchanging tweets about our respective blog posts and life’s daily shenanigans, I was feeling pretty nervous. I wasn’t nervous about being in Westminster or of having to talk about the difficulties of accessing childcare and education for our kids. Telling the truth is quite an easy thing to do. But I was nervous about standing up with a group of women whom I had come to admire enormously, but whom I had never met outside the bloggersphere. I didn’t want to let the side down. We had important work to do. I recognised Stacie immediately as she came up the stairs to the panelled room we were waiting in. She was wearing a gorgeous striped dress and a short, pixie haircut, a legacy of her most recent and apparently successful leukaemia treatment. She was fatigued from walking up so many stairs but looked well. Actually she looked more than well. She looked committed, petite but fierce and ready to do business. While others were introducing themselves to each other, I stood back, for the first time embarrassed by my online anonymity. It sounded so daft to greet people by saying “I’m Mrboosmum”. But when it came to my turn, that’s what I said to Stacie. “I need to see pictures of Boo,” she said. And so I showed her pictures on my phone. In my day job – a day job, incidentally, I have been able to cling onto in part because of Stacie’s help at a critical moment – I am lucky enough to be surrounded by very intelligent people who are extremely good with words. But honestly, I will never again be with a smarter or more eloquent group of people than the women who gave evidence at the Inquiry. Stacie’s testimony was utterly compelling. 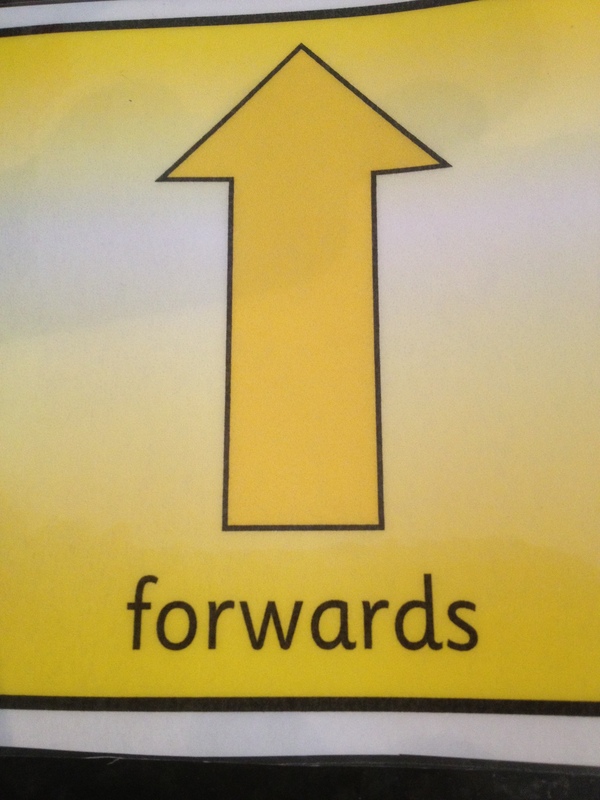 Everyone – MPs, fellow parent-carers, advocates – listened in wrapt attention and tears in their eyes. These were not tears of pity – in my experience one of the least welcome emotional responses parents of disabled children can elicit – but of recognition of the injustices May and her family faced and the simple truth that Stacie conveyed so powerfully: access to education, good care, and an inclusive society should not be aspirations; they should be the reality. Stacie pursued this conviction in every campaign she supported and often led, in every blog post she wrote and every article she wrote for the national press. And her words made a material difference in Parliament and in supermarkets that introduced accessible trolley seating, to give just two examples. She was a brilliant advocate not just for May but for all children like her, like Boo, and their families. I will miss Stacie dreadfully. Her loss, of course, is and will forever be most profoundly felt by her family and her many, many close friends. I cannot imagine what they are going through. Selfishly, I regret that our always fun meetings with a mutual friend after the Parliamentary Inquiry were too infrequent. I regret that I didn’t get to know her better than I had time to. I regret that she was too unwell to come to my 40th birthday last year when we thought it might just work out. I would have loved to see her dance, something we heard a lot about at her celebratory funeral last week. I regret that I cannot call on her wisdom in the future. And I deeply, deeply regret the loss of her presence and voice in the world in which Boo is growing up. But I also know that those words are not lost. Many people have been sharing Mama Lewis posts in the pasts two weeks, as well as her articles for the Guardian and Baby Centre. I urge you to re-read them. I have been doing so and I find them as powerful and necessary today as I did on first and second readings. Her writing still advocates. And there are many of us still who feel more urgently than ever after her death the necessity of continuing her advocacy, even if few of us can do it half as well as she did and would have continued to do had her life been longer. Stacie Lewis’s blog, Mama Lewis, can be found here. This entry was posted in Uncategorized and tagged Cerebral palsy, mama lewis, stacie lewis on May 1, 2017 by mrboosmum. At the beginning of 2014 we got a piece of kit for Boo that was a game-changer. At the time, we were struggling to access the OT service he so badly needed (how depressing that that statement is about as true now as it was over 18 months ago). We had little adequately postural supportive seating for him and the simplest things, the little things, like going to a cafe or going round to a friend’s house were really difficult. At that point, I could have him on my lap and carry him better than I can now, but it wasn’t easy even then and even ignoring the twinges in my back, it wasn’t good for him not to be adequately supported. But the GoTo by Firefly by Leckey changed that. Not long after we brought it, I blogged about that revolutionary and deceptively simple, light-weight liner that can attach to dining room chairs in a few clicks. We took it with us to cafes and restaurants and on family visits. And when Boo got too big for it, we passed it on to another family who I know are very grateful for it. So this mighty (and mightily light – not a phrase that usually accompanies any special needs equipment) piece of kit serves multiple functions. The new GoTo does all that our old GoTo did. We can pop Boo up at the dining room table on a chair like his big sister to eat or play. 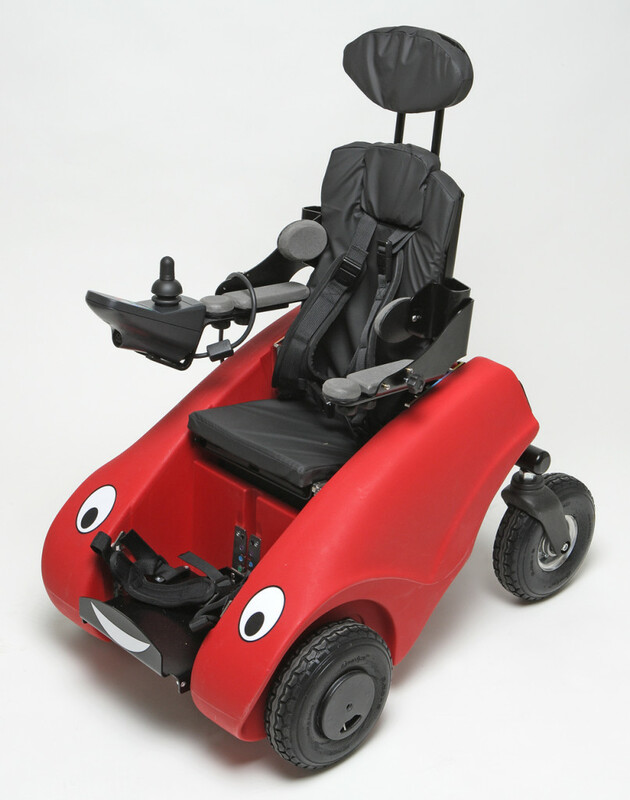 Or we can take it out and about with us to put in a shopping trolley or swing in the park. The floor sitter, though, is invaluable for visiting friends and family. Boo’s adapted buggy is bulky. It also gets completely filthy in this wonderful autumnal weather we are enjoying. (You can see the looks of polite dismay when you ask friends if you can bring it into they house for Boo to sit in.) It is impossible to put under a dining room table and puts him at an odd height relatively to any other little people who might want to play with him. Using the GoTo with the floor sitter, being able to get down on the floor, to stretch out those impossibly tight hamstrings of his, to play on the carpet with his sister is an AMAZING thing to see. Corner seats do exist for children like Boo and they are wonderful. They are also pricey and weigh about as much as my car. 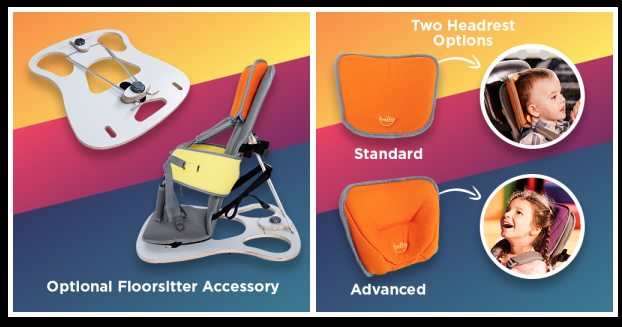 This is so portable, practical, postural supportive (and Boo’s needs are complex) and, you know what, it’s pleasing to look at, too. I am not a person who covets bits of kit or gets excited by gadgets in my day-to-day life. But as the mum to a child with complex physical needs, I dream about pieces of equipment that will make his and, to be honest, our family’s lives easier and better. The GoTo does that. Even better than before. This entry was posted in Uncategorized on November 5, 2015 by mrboosmum. Some days, when the sun is shining and I don’t expect it to and we have a good appointment (or better still no appointments), I feel unbelievably, superhumanly lucky. I feel lucky that I have two beautiful, caring and lovely kids. I feel incredibly lucky in these dark days to have a comfortable life. I feel lucky that Boo survived his premature birth. Lucky that he survived meningitis. Lucky he survived sepsis and a massive brain injury (PVL). That despite the severity of his cerebral palsy he has words – indistinct and hard won words, but words, nonetheless. I feel lucky that he is so happy. That he and his sister adore each other. But then there are other days. Days when people say or do stupid things because you live in a world as alien to them as Mars would be. Days when equipment breaks, or having waited for months for it to arrive (always months longer than you are promised), it comes with a vital part missing or bent by the courier who shows his disgust at the weight of your child’s parcel by banging it on your doorstep. Days when services tell you about how the most recent round of cutbacks will affect your child. Days when you send umpteen emails chasing things for your little one that were supposed to have arrived or been put in place months earlier. Days when people tell you they will look into it and get back to you that afternoon. (You and they both know that means three weeks when you next contact them.) Days when you register that some of these people are upset by this sorry reality and that others don’t, or have learned not to, care. Days when you cannot believe that you are still trying to get put in place one of the therapeutic provisions set out in your child’s statement 18 months after the reports setting out the requirement were first submitted. Days when everyone tells you how awful this is. Days when still nothing happens. And then to top it all, days when the lift up to your front door fails and two organisations argue about who is supposed to fix it while you and your child’s ability to get in and out of the house is precariously dependent on how much your back hurts. Days like these are the cluster headaches of the special needs world. Everyone gets headaches – just like we all have bad days – but few can understand the head splitting intense discomfort produced by these monstrosities. There is no easy cure and if your sanity is to be preserved, to an extent you just have to accept these unpleasant realities. But it’s hard to accept things that are bad, that even hurt, your child. Really hard. As a family, we have all learned to live with cerebral palsy. That was the easy bit. It’s all of this – all that comes with CP – that I will never get used to. I know some day, maybe even tomorrow, I will feel better again for a while. But not today. I am lucky, but I am also sad, disappointed and frustrated that life is like this for Boo and for many, many others like him. This entry was posted in Uncategorized and tagged Cerebral palsy, NHS, SEND, statement on October 1, 2015 by mrboosmum. Birthdays are tough as the parent of a child born prematurely. As you move forward through the years, you are thankful that you and your child are still here, even at the same time that you are thrust back to the day of their untimely arrival and to the hopes, fears, smells and noises of the alien environment of the NICU. To say you feel mixed emotions does not to justice to the complex web of feelings you have to deal with. When your child is, like Boo, one who will never outgrow their prematurity, when their early arrival led to complications that will affect them for their whole lives, these feelings are mixed with others too: maybe grief, maybe anger or sadness. But if you are reading this as the parent of a premature baby or a child born with disabilities, let me tell you what many have told me in the past: birthdays get easier. I didn’t believe these people when they told me. But they were right. They do. Don’t despair. Things get better. I promise. Boo’s second birthday, though, was hard. It was so difficult to remember all he and we had been through. It was hard to see how different he was from his peers; how hard his future looked set to be. But we celebrated anyway partly because we wanted to and because you have to right? And truth be told, we had a lovely day, a pretty typical (note: I can’t use the word ‘normal’ now ever) toddler birthday even though ours couldn’t toddle and likely never will without aids that are the size of a studio flat. Until, that is, the cake was eaten, the wrapping paper was in the recycling bin and the presents temporarily stored and I sat down with a glass of wine and my lap top. Not to work, as I usually do. To apply for our son’s blue badge so we could park in disabled spaces. I had been told some weeks before and not very politely by our local blue badge office that we were unlikely to get one because Boo was too young, even though the government website indicates that children from the age of 2 with significant health needs and disabilities are eligible to apply to this scheme. (Apparently if Boo was a ‘normal two year old, he would likely need to be carried in and out of the car anyway’. Hmmm come try and carry Boo, I thought. I’ll show you what carrying is. And stop using the ‘n’ word, OK?) I applied regardless. Boo had just received a wheelchair buggy and it was enormous. We needed space to get it round the car and put him in it safely. Boo may have born prematurely, but tell his body that. He has always been tall. Very tall. And while his weight is perfectly respectable rather than overly impressive, he can’t hold any of it himself. He could not and still cannot sit independently. Pick him up and he is as unwieldy as a sack of potatoes. No: a sack of potatoes where the seams have split and things are threatening to fall out of the sides. And that’s only when he’s not stiff as the proverbial board. Carrying Boo is a hold your breath kind of activity and not only because you are trying to engage that core you keep working on for fear that one day you will not be strong enough to carry your child. You hold your breath in case he or you fall as he goes into extension or he loses all his muscle tone and dribbles to the floor like jelly. It was clear to me and to the healthcare professionals who had persuaded me to do the application that we needed a blue badge. We needed the ability to open his car door to 90 degrees. We needed the space for safety. His safety. I submitted all the medical evidence, lamented that this was how I was spending the evening of my son’s second birthday and hoped for the best. We got a blue badge, although only for a year when, we were told, we would have to reapply, because everyone knows that severe quadriplegic cerebral palsy can just vanish overnight when you hit 36 months. I reapplied just before his third birthday and we received another one for him for a few more years. The blue badge makes a huge difference to our lives. I won’t lie, the financial benefits are considerable. If I am lucky enough to get in one of the free disabled spaces at our local hospital where Boo has so many appointments, that can save us between twenty to forty pounds of parking fees every month. But to be honest, for us, the safety issues are paramount. Being near where we need to get to with huge bits of equipment. Being able to get Boo out of the car safely. Being able to do so without putting any more pressure on my struggling back with its bulging disc than I have to. But let me also say this, because a couple of very awkward and upsetting incidents recently have made me feel like I need to say this publicly: I get NO pleasure out of having to have a blue badge for my son. I would give every penny and every limb and vital organ I have for my child not to be disabled. I can’t believe I even have to say this. 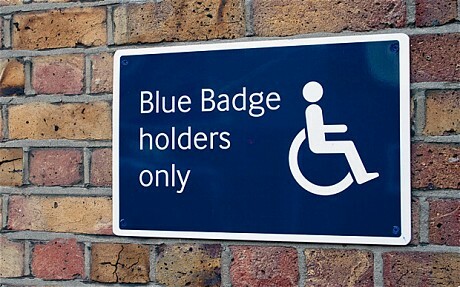 And yet, since having the blue badge we have been challenged about using it on more than one occasion. The problem lies, like most problems, in ignorance. When you say blue badge holder, many people obviously have a set vision in their head that is sometimes very far from reality. We are frequently stared at when we pull into blue badge spaces and usually anxiously pull out the blue badge and clock from the door bin before entering car parks to wave them in the faces of the disbelieving. On more than one occasion, this has not been enough. Just a few weeks ago, another person, in the most unlikely place you could imagine, banged (yes: banged) on our car window as I parked in a disabled space, and shouted in a tone so loud and hostile it caused both of the Boos to cry that we couldn’t park there and how selfish we were. When we showed our blue badge the individual became flustered and embarrassed but continued with a tirade of abuse about my parking ability. I may not be Louis Hamilton, but I was parked well within all the lines of the space as marked out. Blue badge holders and people like me who drive around a blue badge holder (the badge is Boo’s not mine and I would NEVER park in a disabled space if he weren’t with me in the car) know better than any how much spaces designed for disabled people are abused by those who are ‘running late’, ‘just getting dry cleaning’ or ‘buying fags’ or ‘the paper’. Such abuses of a facility that materially benefits people in a way non-disabled people may well struggle to understand are worse than thoughtless. But let me be clear: no one has the right to make judgements about whether a car pulling into a disabled space has a right to be there or not until they have waited to see the blue badge pulled out. Many blue badge holders are not drivers but passengers who can’t immediately be seen through a long stare through a windscreen. If either of the women who have shouted at us recently had taken one look at Boo it would have dispelled any suspicions they had about whether we ‘deserve’ his blue badge or not. But this is also beside the point. Lots of disabilities are not immediately visible. This doesn’t make them any less real. The occasions when we have been challenged about using Boo’s blue badge have been awful. They have been awful because no one likes to be told off in a public place, not least when you’ve done nothing wrong. They are awful because you are being treated like one of the thoughtless people who abuse blue badge spaces and make you and your child’s life harder (‘oh sorry, I was only getting my lottery ticket’). Mostly, in my experience, they are awful because they turn the most simple things, like going to buy milk, going on a family day out, or return a book to your local library into another thing in your life about disability. They remind you that there is no going back. That your family is different. That people don’t understand. No one wants people to stop the abuse of disabled parking spaces more than people like us, but you know what? Why not leave it to the traffic attendants to sort out? Blue badges are not your problem. And one final thing: they are not our privilege either. I cried throughout the entire duration of the time it took me to fill out the online application and payment for Boo’s blue badge when I did it on the night of his second birthday and I wept more tears when I had to renew it 11 months later. I would give anything for us not to have that bit of blue card in my car, even though we need it for Boo’s safety and our own. Treating us as if we are lucky to have a blue badge is almost as awful as accusing us of abusing a blue badge space when we are entitled to use it. This entry was posted in Uncategorized on August 26, 2015 by mrboosmum. I’ve written on the blog many times before about the sense of weight and guilt that comes with Boo’s enormous long list of therapy goals. We have targets for physio, SALT, and OT not to mention our own private goals for Boo. The lists are huge. Not metaphorically. I mean very literally. They are huge! They live on our fridge. Don’t use these as a diet aid, by the way. Seeing them on the fridge door makes me want to eat my body weight in cheese and double cream whenever I look at them. I’m a list kind of person. I am what the self-help industry would call goal-oriented in my personal life. I have a long-term plan. I break it down into steps. I do my best to stick to the plan. And will usually flog myself until I have achieved what I set out to do. But I can only help and encourage Boo. I can’t make his body do things it struggles with. And I have no interest in making his life any more difficult than it already is. I wish they had never told me. Hope can very quickly turn into a stick to beat yourself with in this here life of ours. I crippled my back trying to get Boo to sit before his second birthday. I was fixated on this happening before he hit 24 months uncorrected. When that was clearly not going to happen, I counted every darn day of his eleven weeks of prematurity and went for 24 months corrected. That date passed too. Boo is now over 3. He still can’t sit unaided for more than a few seconds and cannot be left alone in this position. But we have just tried a new walker which we are hoping to buy and he steps in it in a way that makes the Grand Old Duke of York look like a complete amateur. Like all the amazing kids I have met since Boo’s birth, he just does things in his own way, on his own schedule. This is goal orientation Boo style and it is beautiful to watch. There was a time when I felt the fading prospect of independent sitting with great sadness. Now I’ve adjusted. My sense of time is much more elastic now. I worry less about where Boo is relative to others. Frankly, that way madness lies and we celebrate each and every inchstone Boo meets whenever is the right time for him. But of course, sometimes, I have a wobble and forget all I’ve learned. Children’s parties are a particular trigger (if he gets invited to them at all). Lugging Boo round a soft play for an hour the other week so he could join in while all the other kids ran hysterically like puffed out beetroots who had had a week’s sugar intake in a minute while their parents drank coffee and talked about the inequities of catchment areas was a weak point for me, and meant I couldn’t walk with a straight back for 48 hours. Sissyboo’s sports day last week was another. And then there’s the biggy on the horizon. The milestone we can’t dodge or avoid. It will just have to be met by hook or by crook and whether he or we are ready or not. Next September Boo will start school. That may be 15 months from now. That may seem like an age. In special needs elastic time, though, it really isn’t. It really, really isn’t when you consider all the things that we would like to have set Boo up to be able to do before he starts school. There’s joystick control so he can (please, please let this happen) learn one day to move himself around. There’s potty training, so important for his dignity and for others’ perceptions of him (which will in turn, of course, affect him). There’s his ability to use an AAC device because he will never be able to write. And then there’s the four pages of A4 targets on the fridge. It feels totally overwhelming. Impossible. Even with 15 months. But it also feels imperative. We have to set him up as best we can. We just have to try our best to achieve these things with him. But we also have to let him be a toddler who can’t toddle, a little boy whose life can’t just be about goals, but has to be about living. About play. About fun. I don’t know how to square this circle. I know that school doesn’t mean the therapy train stops (more’s the pity). I know that Boo will continue to learn (that’s the point of school, right?). I know (I hope) we have time to help him. But I also feel totally suffocated by the prospect of the next 15 months. Have we made the right choice of school? Will we get that choice without a battle? Will our LA get their act together enough even to transition him to an EHCP before he gets there? Will we have done all we can to ensure he has the smoothest transition to school possible? Will it be enough? I just don’t know. And that’s hard to deal with. Really hard. This entry was posted in Uncategorized and tagged Cerebral palsy, Occupational Therapy, physiotherapy, SEN education, speech and language therapy on June 29, 2015 by mrboosmum.